It’s been a while since I’ve posted . Granted, pork are tasty to many people, and even though I don’t really eat it, I crave the occasional bacon strip. Just because we eat pigs, doesn’t mean we have to treat them cruelly. Some of you may not care, some of you may not know the truth behind the cruelty on pig farms and how they are slaughtered, and some of you just don’t want to know. 5 years ago, when I was a full carnivore, I came across an undercover video that exposed how pigs and piglets are treated on farms. I saw a video so gruesome I was sick to my stomach, I quit eating pork full stop. If you just humor me and read on, you may do the same. Like this video here (explicit content – caution) – that video I saw showed pigs electrocuted and stunned, barely clinging on to life. Workers kicked them, beat them with iron rods, bash their heads in with baseball bats, and they aren’t even ready for slaughter. All part of irresponsible, heartless people having fun in jobs nobody else wanted. Workers picked up baby piglets, and castrated the males without anesthesia, threw them against concrete walls. Pigs’ throats were slits and bled out, left to died slowly on the filthy concrete floors.Whatever you say and believe about animal welfare and protection agencies and their agendas, these exposés are real. No one can fake these events. Pigs are smart sentient beings, some say more than dogs (that’s very intelligent!) – If you eat pork, that’s fine – I’m not going to try to convert you. But know that there’s everything wrong about treating ANY living thing with such disregard and cruelty. Take with this what you will… spread the word if you care. I’m donating money to help uncover some of the truth and hope I’m doing my part. I discovered Pets on Death Row on Facebook. They seem to be a group of volunteers who rescue and help cats and kittens get adopted in NYC. Their Facebook page puts out a daily list and album of cats and kittens that are to euthanized the next day, so a sense of urgency is pretty big. I find it incredible that a group of people would do this – it’s a lot of work, taking pictures and surveying the euthanasia list daily. 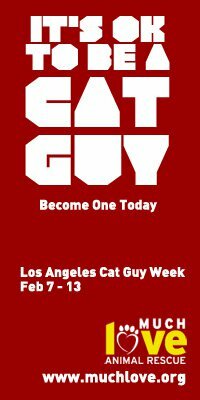 Please go to their Facebook page to find out more or if you’re ready to adopt a kitty. It’s pretty disheartening to see all these cute faces. 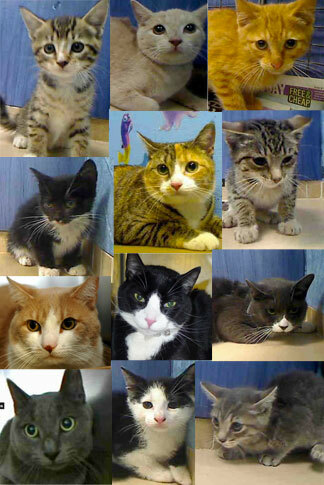 Sadly, most of them have been put down (shown in these pictures). You can really help save a life. Interior Secretary Ken Salazar and the new Fish and Wildlife Service Director Dan Ashe announced details of Wyoming’s wolf management plan that would allow wolves to be shot on sight across the state, reports Defenders of Wildlife. And note this: there has never been a recorded instance where wolves killed humans UNPROVOKED. There is a lot of misunderstanding about how wolves are evil – they are severely misrepresented. And as they are at the top of the food chain, are essential to the natural order of the species. Think deers are overrunning the wild? Well, if you kill the wolves, then we would have a bigger problem, and that would mean, more hunting, more unnecessary, killings of deers and other wildlife. William, a cute seal playing in the sun, is likely to become a victim of the Canadian Seal Hunt this year. Help spread the word about this cruelty and donate. 1) Japan Tsumani /Earthquake – this sad event that occurred nearly two months ago is still having an enormous effect in the country and beyond. While thousands of human lives are lost and without homes and shelter, animals are also neglected, homeless and suffering. Please donate to the Red Cross to help with their efforts to help those in need, and go to American Humane Association’s Red Star Animal Rescue and give. 2) 2011 Canadian Seal Hunt – Another year, another heartache. I revisit this issue every year, and hopefully the number of seals to be hunted during this season has gone down. But it’s still happening—baby harp seals await teams of Canadian Seal hunters to bludgeon, shot, stabbed, and killed for their pelts. It’s unspeakable – please continue to spread the word and boycott Canadian products. 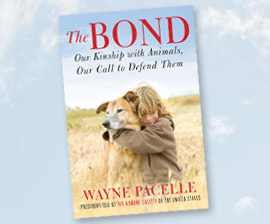 For more information, visit www.IFAW.org. Well, that confirms it. Tough guys love cats. So if you know any guy who says cats are gay or girlie, tell him to see these videos. Join the movement on Facebook and get updates on videos from YouTube. We’ve all seen or heard about SaveToby.com, a website by some guy that features photos and videos of his cute little rabbit, but then threaten to cook and eat the rabbit unless he receives $50K. I love rabbits, and I don’t eat them. I sympathize with animal lovers and activists who got so worked up about this. But I do think this got blown out of proportion, because I don’t think that guy was being serious even though he said he was. Anyway, funny or not, Toby has been saved, thanks to the coverage on NBC. 1) If the ends of the fur are sharp to a point like a cat hair it’s real fur. 2) If you burn it and it smells like human hair burn (like when you lit a cigarette and accidentally caught the tip of your hair), it’s real fur. 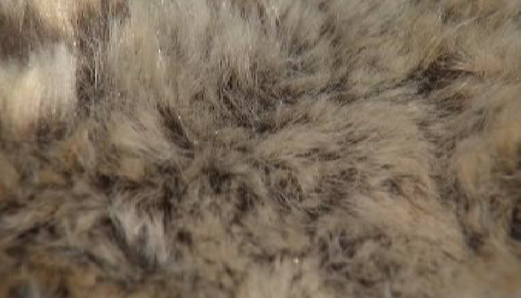 3) If you reveal the base of the fur and it’s attached to something that looks like cow hide or suede, it’s real fur. And finally, just to be on the safe side and how I see it is: If it’s made in China, it’s probably real fur. China breeds racoon dogs for cheap fur, and they have been documented to destroy cats and dogs for various use including fur. Some areas in Korea and Russia also, so I’ve heard. To be safe, just stay away from fur! Faux or not.